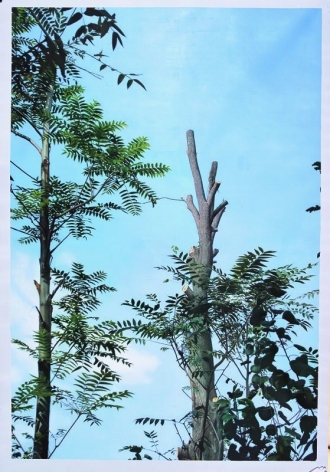 Chambers Fine Art is pleased to announce the opening on April 15, 2008 of A Hundred Year Old Tree Blooms Again by Zheng Guogu. 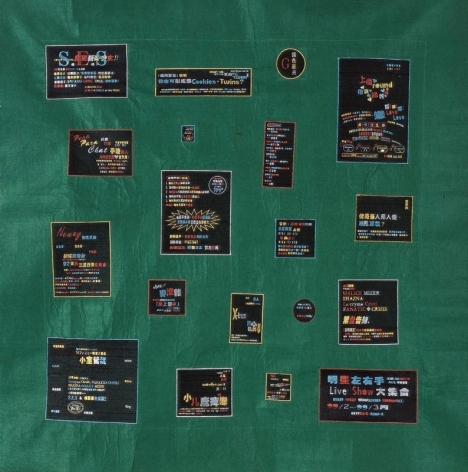 This will be the first solo exhibition in the United States of the work of this young Chinese artist who was born in Yangjiang, Guangdong, China in 1970. He graduated from the printmaking department of the Guangzhou Academy of Fine Arts in 1992 and since then has lived and worked in the town of his birth, five hours or more from Hong Kong. 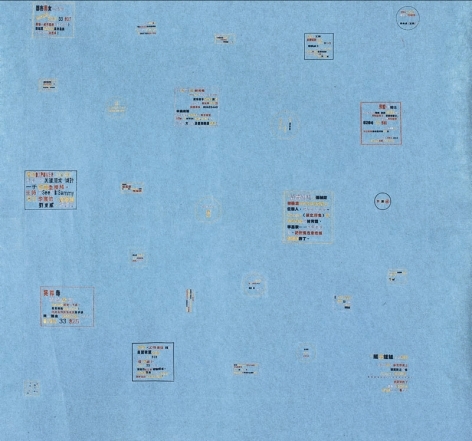 Zheng Guogu is active as a photographer, painter, and performance artist and has gained a reputation as a conceptual provocateur. His early work documenting the youth culture of Yangjiang was photography based and disarmingly casual in approach, but since then he has widened his range of interests without moving away from Yangjiang. A Hundred Year Old Tree Blooms Again is the development of ideas first explored in his ongoing project The Age of Empire in which Zheng Guogu negotiated the sale of land from a peasant and attempted to legalize the transaction. 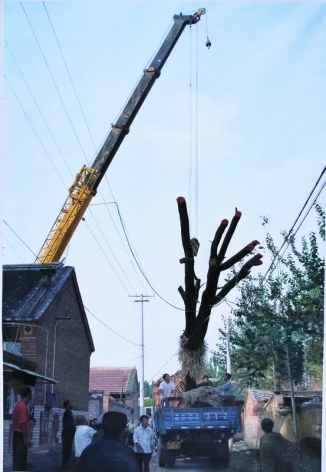 The current exhibition follows from beginning to end the sequence of events that led to the planting of a massive one hundred year old tree in the courtyard of Chambers Fine Art Beijing in September 2007. The negotiation and purchase, the long overland journey with the tree on a flat-bed truck, the precarious lowering into place in the courtyard, the skillful planting and wrapping by professional plants-men provides the subject-matter for photographs, videos and a new series of paintings.